An anthropologist and historian, Monni Adams wrote extensively and curated many exhibits at Boston-area museums and institutions that drew from her deep well of knowledge about African art. “For many years she was the only person who taught and brought African art and the arts of the Pacific not only to Harvard, but to the Boston area,” said Christraud Geary, senior curator emerita of African and Oceanic art at the Museum of Fine Arts, Boston. “There was never a lecture at Harvard about Africa that Monni didn’t attend,” Geary said. Dr. Adams, who published articles and curated exhibits until after she turned 90, died from complications of dementia Dec. 24 at Cadbury Commons assisted living facility in Cambridge. She was 94. 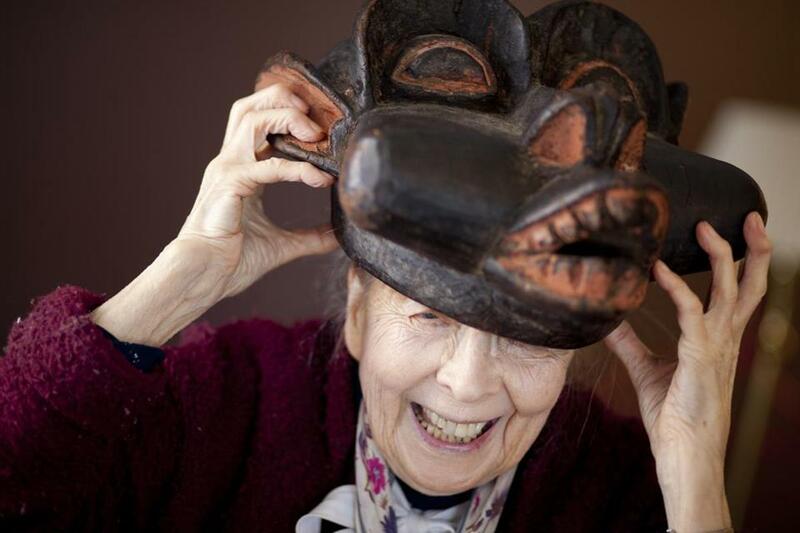 Into her 90s, she walked every day from her Cambridge home to Harvard’s Peabody Museum of Archaeology and Ethnology. A tiny woman with a big personality, she began teaching at the Massachusetts Institute of Technology and Harvard in the 1970s. Except for traveling, she spent the rest of her life in Cambridge teaching, researching, and writing. She was a “scholar of unique brilliance and creativity” whose “intellectual wingspan ranged from art history to social science and Indonesian textile to African sculpture, textiles, and body arts,” said Suzanne Preston Blier, a professor of fine arts and African and African-American studies at Harvard. While Dr. Adams was known as an exhaustive researcher and a prolific writer, friends and colleagues said her greatest talent was teaching. Along with Harvard and MIT, she taught at Columbia, Wellesley College, and the Harvard Extension School. “She was a superb teacher,” said Molly Martin of Austin, Texas, who was a docent at what is now the National Museum of African Art in Washington, D.C., when she met Dr. Adams. Later, when Martin moved to Boston, she took classes from Dr. Adams at Harvard Extension School. “She took a real interest in me and in other students, and convinced us that we could do something,” said Martin, who began teaching African art to Boston area high school students after being encouraged to do so by Dr. Adams. Dr. Adams was born Jeanne Marie Grozanich in Portland, Ore., on Oct. 27, 1920. Her birth certificate lists her father as Risto Grozanich, a logger born in Serbia. Her mother, the former Leontina Guy, was from France. Known to all by the nickname Monni, Dr. Adams changed her surname at some point, though friends and colleagues don’t know why. They said that even though she was outgoing and social, she didn’t talk about what happened in her life before she enrolled in graduate school at Columbia, where she received degrees while in her 40s. In 1963, Dr. Adams graduated from Columbia with a master’s in art history and received a doctorate in Indonesian art history from Columbia in 1967. Records show that she had already received a master’s in political science from the University of Chicago. Dr. Adams received awards and grants that included a Bunting Institute fellowship in Cambridge and a Fulbright scholarship. In her early 80s, she served as a senior research fellow at the Center for the Study of World Religions at Harvard Divinity School. She published books, articles, and reviews and was 91 when the last of her many papers was published. In 1982, she curated “Designs for Living” at Harvard’s Carpenter Center for the Visual Arts. The exhibition drew from private collections in Greater Boston and included beadwork, cast metal objects, masks, textiles, and wood sculptures, many of which were being shown publicly for the first time. Globe critic Robert Taylor listed it as one of the year’s 10 best Boston-area exhibitions. A service at the Peabody Museum will be announced for Dr. Adams, who “had a full and eventful life,” said Rubie Watson, retired curator of comparative ethnology at the museum. In the late 1980s, Dr. Adams studied tribal art and what it meant to residents of small villages on the Ivory Coast, where it was created. She spent a year there and drew on research from that visit for “Masked Festivals of Canton Bo (Ivory Coast), West Africa,” an exhibit at the Tozzer Library at Harvard that was on display in early 2011, a few months after Dr. Adams turned 90.
can be reached at kmck66@verizon.net.